Novels… news article… press releases… scripts… short stories… product and program descriptions… they’re all “writing.” But they’re not Marketing Writing. Let me explain what I mean by “intended response.” The goal of Marketing Writing is to motivate a prospect or reader to take action. That action could be to call, click a button, watch a video, move to the next step… or to buy. So the goal of Marketing Writing is to SELL! And not only is goal to motivate and sell, it’s also to create such a sense of urgency that makes that action or intended response occur TODAY. I’d say if you could do that you’d have a definite heads-up advantage on your competitors… you’d attract more prospects, you’d win more deals… you’d close those deals or transactions in less time. Here’s the way I see it and here’s the way I teach it. 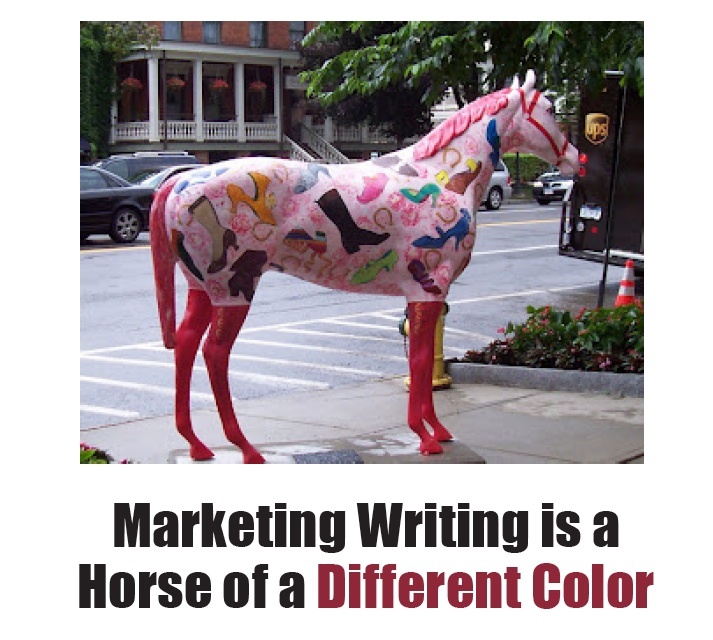 Marketing Writing is both an Art and a Science. The Science of Marketing Writing includes the basic rules, principles, and techniques that you need to know as a marketing writer. There are many others, but you get the idea. The Art of Marketing Writing is about applying the science and the principles of Marketing Writing and then putting words together in such a way that they produce an intended action. This is a little more complicated to line item… and I won’t even try. But I can tell you that it involves practice, learning from your mistakes, cultivating the craft, and so on. I am absolutely convinced that the only way to learn the art of Marketing Writing is un-learn what you think you know about writing for your product, service, or business! Now here’s the problem about doing that. You can’t learn to write by listening to me… by reading a book… or watching a YouTube video. And I want to show you the way. Here’s how: I provide you with all the Principles of Marketing Writing you need to know plus… I increase your proficiency as a Marketing Writer by personally coaching and critiquing your writing. My Marketing Writing coaching is tailored specifically to your need. If you’re just getting started, I provide you with three writing assignments that will build your confidence as a Marketing Writer. I review and critique each of your writing assignments. Then you and I get on a Skype call to discuss your writing. If you’ve been in the game for a while or have responsibility for developing marketing materials for your company, I help you improve your effectiveness and your result. We may use my “canned” assignments or work directly with your company’s marketing objectives in mind. My coaching and my Private Marketing Writing Coaching Program is highly affordable. But (and here’s the only caveat), because of my own schedule, I can only work with one or two people (or apprentices) at a time. Contact me personally at 347-920-3272 to learn more about this powerful Private Marketing Writing Coaching Program and how you can participate. If you have a quick question, CLICK HERE. I’ll look forward to hearing from you.